Since I switched up a few things the other week I thought I'd share what I keep in my little emergency bag. I bought the apple pouch from Ebay as it's the perfect size, I also have the green one too. Paracetamol // L'Occitane Pivoine Delicate Lipstick* // L'Occitane Rose Hand Cream* // Mirror // Blister Plasters // Perfume Sample // Elizabeth Arden 8 Hour Cream Depotted // Liz Earle Spot On // Bobbles & Clips // Figs & Rouge Lip Balm* // Lush Dream Cream Depotted. I don't often carry my make-up on an every day basis so this little bag has all of the essentials I may need. The bag also fits in a lot more than it looks like it could! The only thing that really changes is the lip product. I usually put in whichever I chose that morning. At the moment it's one from L'Occitane and is a really nice peachy pink. 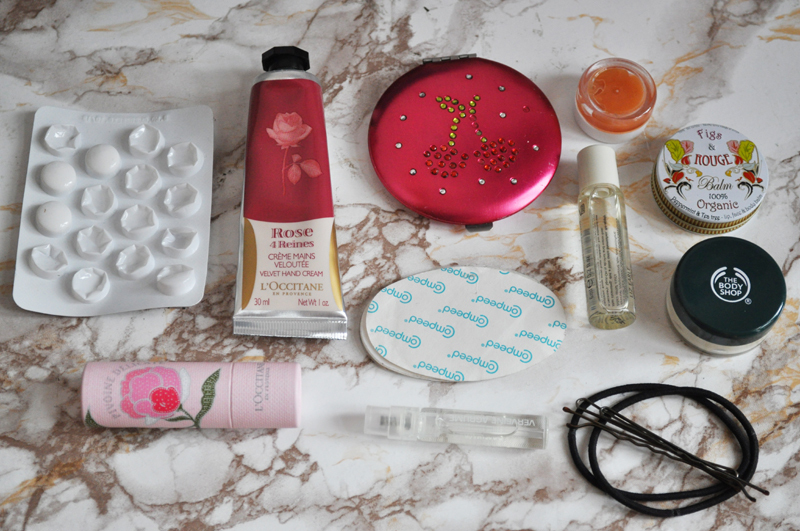 What beauty essentials do you carry in your bag? P.S I've just added my blog to HelloCotton if you use it to follow blogs! Ooh, I happen to have the green version of this pouch, as well as the accompanying makeup bag. My essentials are lip balm, sample-sized vials of fragrance, hair clips, and lip gloss/lipstick. 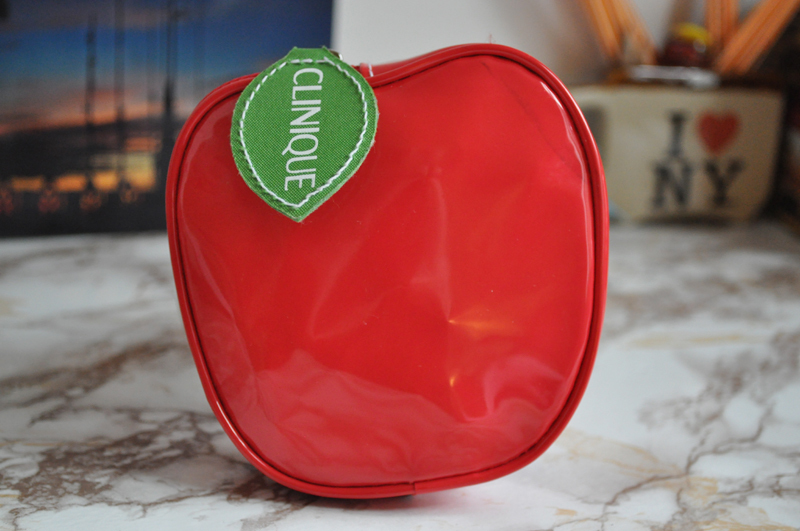 What a cute apple bag! It does seem surprisingly roomy too. The L'Occitane lipstick has such gorgeous packaging.